There are many forms that you might need to get your event off the ground and all the way across the finish line. 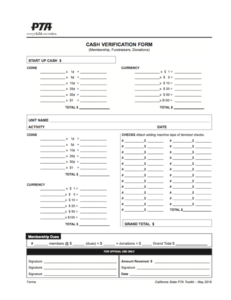 If you have any questions about which forms you need to use, please contact your VP. 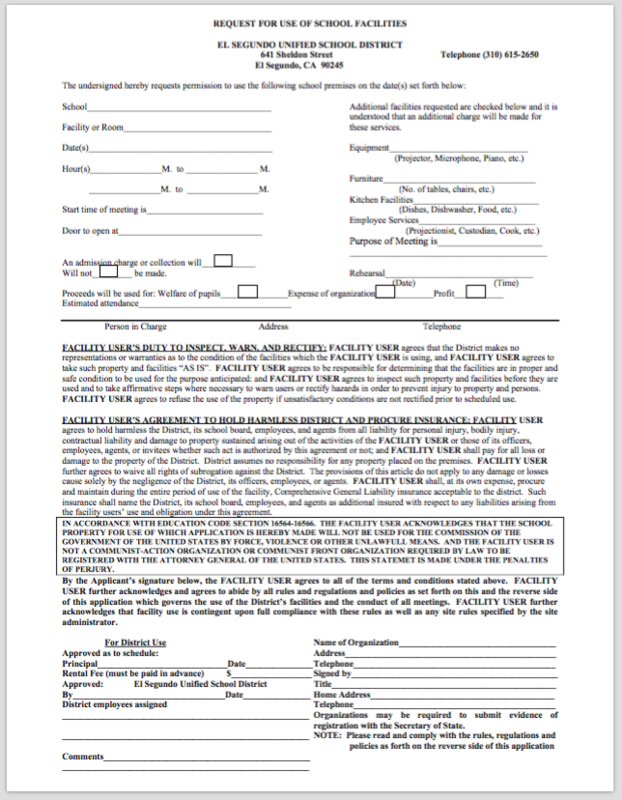 All events that take place on campus will need to have this form completed and turned in to Tina in the front office. Please cc your VP and/or the President. Remember to hang on to you receipts so you can be reimbursed afterwards. 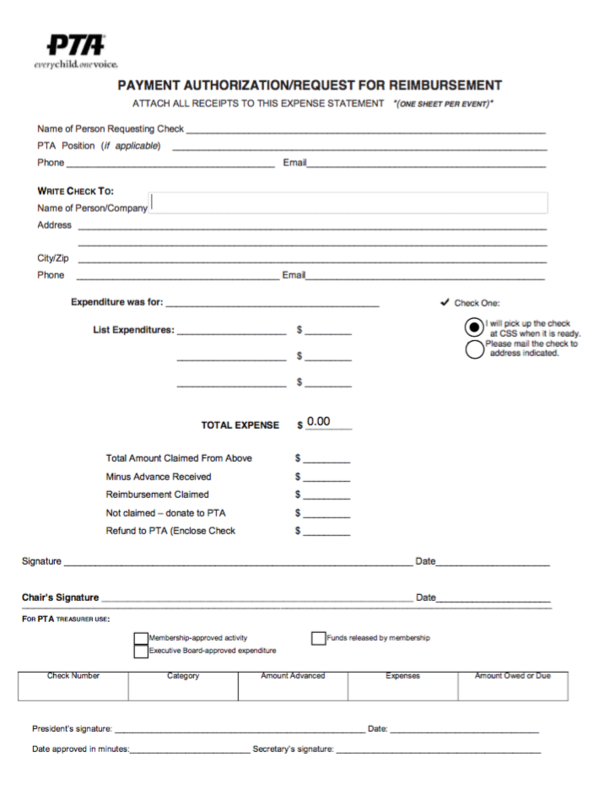 Please try and submit all outstanding receipts NO LATER than 1-2 weeks after your event. (check processing can take at least a week). 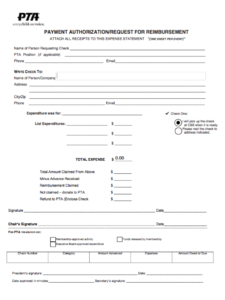 These forms are also available in the PTA box in the workroom. 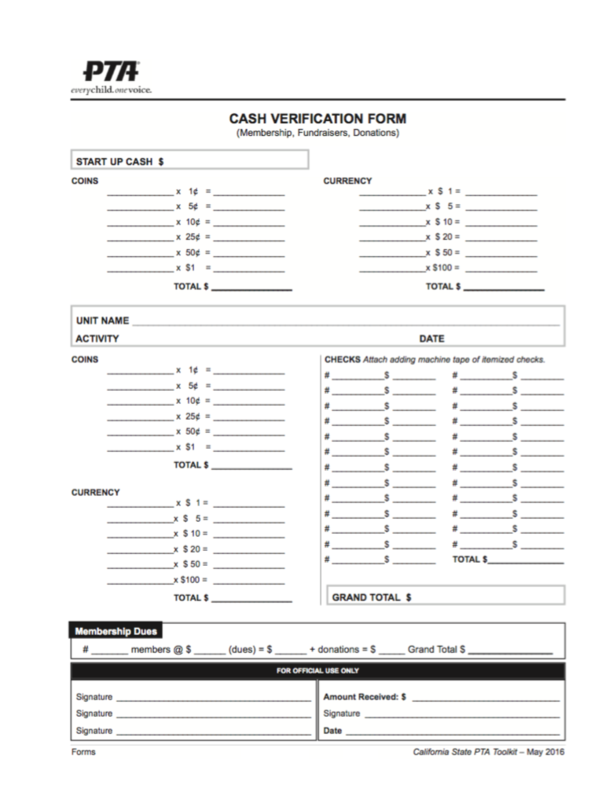 If your event will be receiving cash or checks, then you need to use this form to count the money and include with the cash in an envelope that you deposit in the PTA safe (located in the main office). 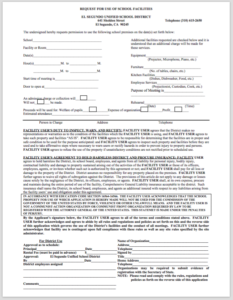 Reminder to have 2 people (not related by blood or marriage) sign the bottom of the form before you place in the safe.